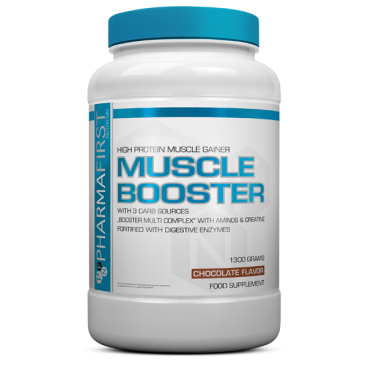 Muscle Booster is built on an optimum amount of high-quality protein that is supported by a well-crafted mix of different carbohydrates. Gaining muscle, boosting performance are processes that require energy and carbs. Our combination with three types of carbs, paired with essential amino acids will guarantee the desired results! Muscle Booster features a Creatine source for everyday use. 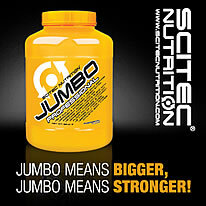 We have added Leucine and by using Leucine with Creatine, we also doubly the desired effect! Of course, we included the other Branched-Chain Amino Acids too! We also used Taurine and extra Glycine, an amino acid that has a variety of roles. And every product can use some more Glutamine, the most abundant amino acid in the human blood. Finally, we added a digestive enzyme blend, composed of Bromelain and Papain! 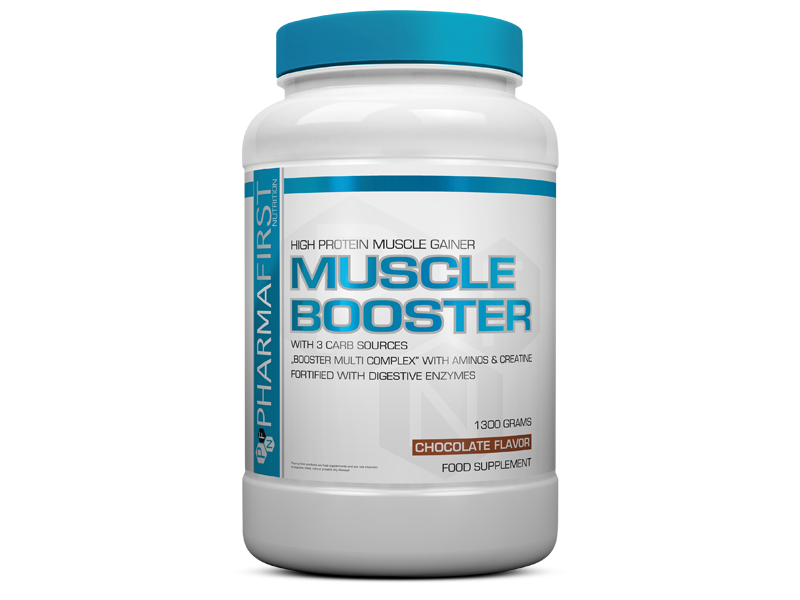 Muscle Booster is a low fat formula delivering 60 grams of carbs with each serving. 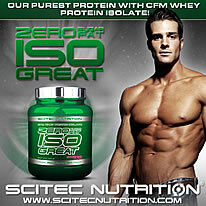 Its protein contributes to the maintenance and growth of muscle mass and also to the maintenance of normal bones*. Directions: Mix 1 serving with water or your favorite beverage (500 ml). One serving per day is recommended for general purposes. Best to take it in the morning, before and/or after training! Use this product in conjunction with food as part of a healthy, balanced diet, not as a substitute for such. Allergen info: Manufactured in a facility that processes milk, soy and egg proteins, and gluten, peanuts! Contains a cereal containing gluten.